Praised for its excellent intonation and wide palette of vocal colour and described as “one of the best male choirs on the continent” by Oregon Artswatch, Chor Leoni is one of the most active amateur ensembles in North America and performs more than 35 concerts a season to over 15,000 patrons. With stylistic grace and an adventurous spirit, Vancouver’s Singing Lions have enriched and transformed people’s lives through singing for over twenty-five years. The choir is fortunate and privileged to sing on the unceded traditional territory of the Musqueam, Squamish and Tsleil-Waututh First Nations. Chor Leoni has been honoured with many awards at the national and international level including five 1st place awards in the CBC National Radio Competition for Amateur Choirs. In July 2018 the ensemble won gold medals in the Equal Voices, Folklore, and Musica Sacra categories of the Singapore International Choral Festival and sang in both the opening concert and Grand Prix performances. A few days later, Chor Leoni won gold medals and Choir Championships in the Sacred Music and Male Choir categories of the 7th Bali International Choral Competition. In addition to singing in the opening concert and Grand Prix performances in Bali, the choir also won a special jury’s prize for outstanding choreography. Chor Leoni’s 2016 recording Wandering Heart was a featured CD for Minnesota Public Radio and WFMT Chicago, and received a perfect, five-star rating from the UK’s prestigious Choir and Organ magazine. The choir’s 2018 Christmas recording Star of Wonder was also a featured CD on Minnesota Public Radio. Chor Leoni prides itself on its musical ambassadorship for Vancouver and Canada and has performed at major festivals and concert venues across Canada and the United States. The choir has also shared its music in Singapore, Bali, Italy, Croatia, Bosnia and Herzegovina, Germany, and the Czech Republic. 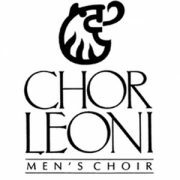 Chor Leoni champions new music and has commissioned hundreds of pieces for male choir, ranging from pop and folksong arrangements to modern works. In 2018 the choir appointed Zachary Wadsworth as its first-ever Composer-in-Residence for a two-year term. The ensemble has commissioned works by notable composers such as Jocelyn Morlock, Ēriks Ešenvalds, Bob Chilcott, Imant Raminsh, R. Murray Schafer, Stephen Chatman, Malcolm Forsyth, Bruce Sled, Steven Smith, and Zachary Wadsworth, among others. 60 concerts a year and he has collaborated with artists such as Bobby McFerrin, the Boston Pops, the Saint Paul Chamber Orchestra, Doc Severinsen, and Minnesota Orchestra. His work with Cantus garnered the 2009 Margaret Hillis Award for Choral Excellence, the highest honor from the professional choral organization Chorus America. 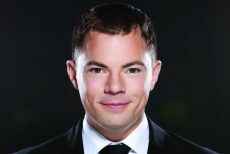 In January of 2013 he began his tenure as Artistic Director of Vancouver BC’s Chor Leoni Men’s Choir. Lichte is an active proponent of new music and has commissioned over 250 new works from composers such as Zachary Wadsworth, Lee Hoiby, Ēriks Ešenvalds, Gavin Bryars, Jocelyn Morlock, Steven Sametz, Edie Hill, Mary Ellen Childs, and Imant Raminsh among many others. An active clinician and guest conductor, Lichte is especially passionate in his work to get young men singing and believes in the transformative social power choral music can have on male culture. He is also an active composer and arranger, especially known for co-creating All is Calm: The Christmas Truce of 1914 which has been taken on ten North American tours and been performed on three continents. In November 2018 All is Calm made its off Broadway debut for a two-month run at the Sheen Center in Greenwich Village. La Nef is a company dedicated to the creation and production of early and contemporary music. It hires musicians and artists in all disciplines according to the needs of its productions. La Nef produces concerts and recitals of early and traditional music that are based on historical and literary themes. In 2001, La Nef broadened its field of action by launching a sector dedicated to contemporary music; a sector, that is, dedicated to the creation, research, and development of new forms. The company alternates projects that are essentially musical with theatrical projects that involve multidisciplinary, interdisciplinary, multimedia, and operatic elements. The concern for historical and theatrical context has been present since the company began. As well as producing musical-theatrical shows, it has also accepted the mandate of making music accessible to young people. To this end, the company’s Jeunesse (Youth) sector also offers concert-workshops in schools and community centers, and produces musical-theatrical shows. La Nef’s approach aims at creating worlds of sounds that are often based on little known or original music and that integrate historical and theatrical elements. This distinctive approach sets La Nef apart in the musical and cultural milieu, and allows it to offer original and accessible experiences to its public. 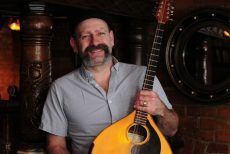 Seán Dagher is an active performer, arranger, and composer of music from various folk and classical music traditions: Celtic, Baroque, Medieval, Arabic, French-Canadian, and Maritime. He is artistic director of Skye Consort and its principal arranger. Seán often provides arrangements for other ensembles and artists, including La Mandragore, Pierre Lapointe, Shannon Mercer, I Furiosi, Les Voix Baroques, and Les Voix Humaines. His music has been performed across Canada and the United States. Seán has worked with the Festival du Monde Arabe creating shows of Middle Eastern and North African music. He has arranged and composed music for audio books, with story-teller and musician Suzanne De Serres and for American author Sandra Gulland. Seán has been a composer and sound designer for theatre productions. He has been nominated for numerous Adisq awards and participated in the Adisqwinning CD, La Traverse Miraculeuse with La Nef and Les Charbonniers de l'enfer. Despite all that Seán can most frequently be found singing and playing in Irish pubs.